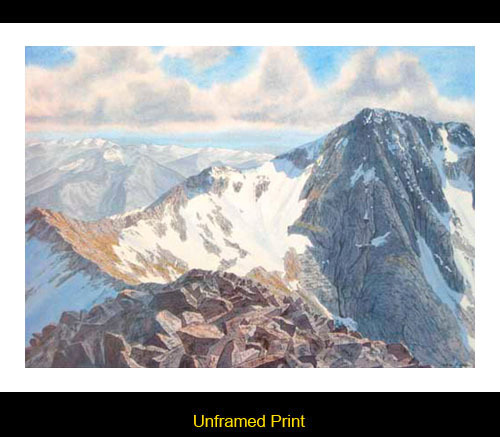 "Print and Painting of Ben Nevis, Scotland, by Neil J Barlow"
Ben Nevis and the Carn Mor Dearg Arete. From the summit of Carn Mor Dearg the Carn Mor Dearg Arete sweeps round in a horseshoe curve to Britains highest mountain Ben Nevis. This view depicts the scene in May when snow still lies in the corries.